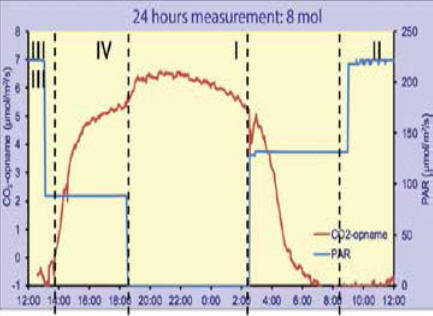 The diurnal CO2 pattern of five light intensities of Phalaenopsis amabilis at 28/22℃ day/night temperatures. 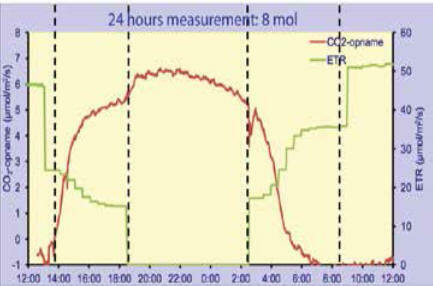 The relative humidity and light intensity of the growth chamber were maintained at 70-90％. The light period was 14 h.